November is Healthy Skin Month, making this a perfect opportunity to discuss new ways of showing our skin some love. This time of year, when the weather is cool and we rely more on indoor heating, our skin tends to get drier. Before you reach for that moisturizer, have you ever stopped to think about what’s in it? An increasing number of consumers are thinking more critically about the personal care items they choose. 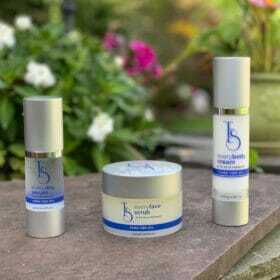 One new skincare line, designed by a medical doctor, is shaking up the industry. In 2010, Dr. Milagros Hernandez was diagnosed with breast cancer. After undergoing treatment and a double mastectomy, the physician reflected on her experience and embarked on a journey to create an all-natural, toxin-free skincare line. Dr. Hernandez dedicated eight years to developing the products for TEScosmetics. Taking what is known about the connection between topical and airborne toxins into account, she worked with a team of scientists to combine premium organic ingredients with the therapeutic properties of HEMP oil to create a truly unique and potentially revolutionary skincare regimen. Realizing that the general public may be unaware of the importance of using the right products, Dr. Hernandez set out to educate the masses. “I want people to be aware that everything we put on our bodies can be absorbed by our bloodstream and affect our health,” she explained. In fact, there is evidence for cannabidiol health benefits including the treatment of anxiety, insomnia and chronic pain. After numerous studies showed that HEMP could reduce the number of seizures in children suffering from Dravet syndrome and Lennox-Gastaut syndrome, the FDA approved Epidiolex, the first ever cannabis-derived medicine. We are only beginning to understand the potential benefits associated with cannabidiol but many people around the world are turning to it as a natural alternative. 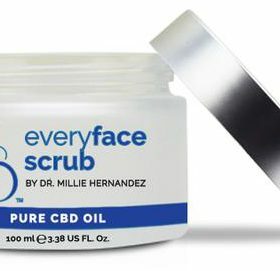 Dr. Hernandez saw this opportunity and, understanding the potential benefits of HEMP as a means of soothing aching muscles, reducing inflammation and brightening skin, she set out to bring a unique product to a largely untapped market. The TEScosmetics skincare line currently includes everyday scrub, everyday serum and everyday cream (a lightweight moisturizer). Eye and lip makeup infused with HEMP Oil are also under development and should be available in 2019. To ensure the quality of their products, which are never tested on animals, TEScosmetics only sources HEMP from Colorado, where growers are regulated under the Department of Agriculture. It is a full-spectrum, organic hemp-derived HEMP oil rich with Omega-3 fatty acids and vitamins D and E.
Interested in trying the TEScosmetics skincare line? Right now, all three products are included in a discounted holiday bundle, which can be purchased online and shipped globally. For more information, visit TEScosmetics.com. This entry was posted in Press, TESCosmetics and tagged forbes, press, tescosmetics. Good morning ☀️Have you tried TES everybody cream yet? TES every body cream: Hydrate your skin and protect it against sunlight. Apply everyday in the morning before going out and before you apply your makeup. Ya has utizado TES everybody cream?